Xbox 360 Kinect, $15. 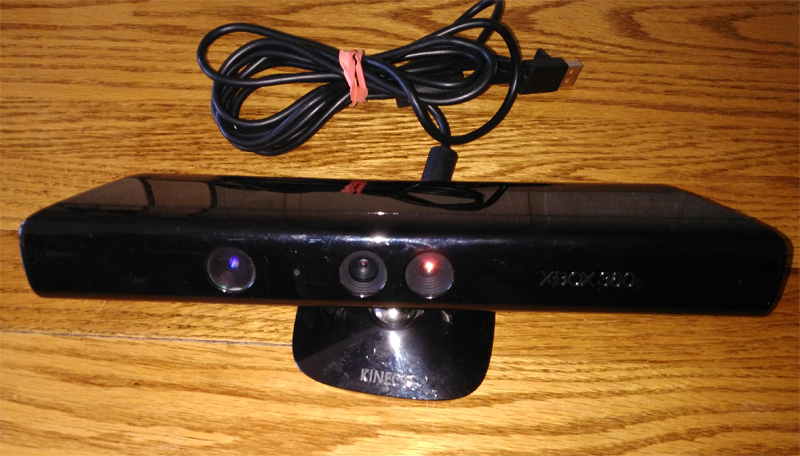 Picked this up not for kinect-ing, but for 3D scanning objects for use with my 3D Printer. Seems pretty simple and straightforward, just have to download a scanning program. There’s a couple different ones but going to try out SKANECT first. Still unsure of what to scan though. SOON. Christmas Nights Saturn Import $10. Couldn’t find any US copies there, which are probably more expensive I’m sure anyway, so this will do. Pretty sure it’s English friendly enough to figure out the minigames. 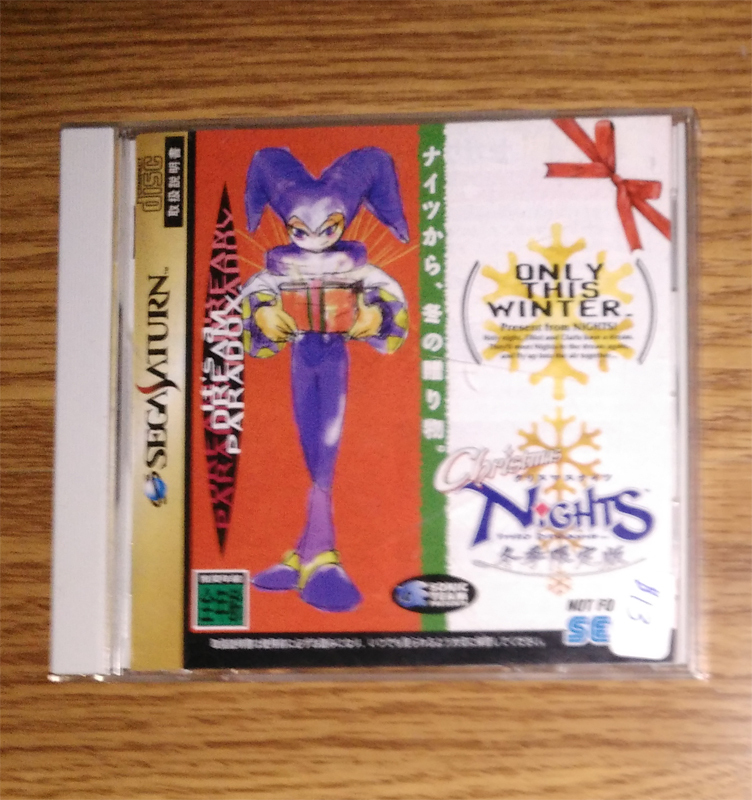 I saw way more Japanese Saturn imports than NA released games, which is pretty interesting. 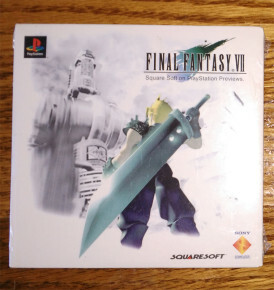 Final Fantasy Squaresoft Preview Disk (Sealed) FREE. One of our friends always stops by with a bunch of cool preview promotional items for us, posters and etc so we usually divvy it up between us. Looking at some information about the disc, It has playable demos of Final Fantasy VII and Bushido Blade, and video previews of Final Fantasy Tactics and Saga Frontier. Also got a mini ad poster with a Pokemon game (name the game) on one side and Triforce Heroes on the other, so that’s pretty cool. 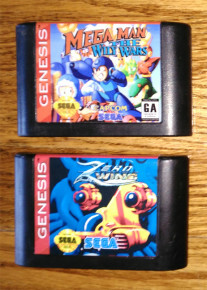 Zero Wing & Megaman The Wiley Wars Repro Cart $2 for 60. There were Tons of Repros there of rom hacks, canceled games, and English translations. Shadow the Hedgehog, Sailor Moon Fantasy, Yu Yu Hakusho, Battle Mania 2, Charmy the Bee in Sonic the Hedgehog, and Sonic XL to name a few. Picked up the fabled Zero Wing to move some zigs, and Megaman Wiley Wars because Megaman is always a good time. 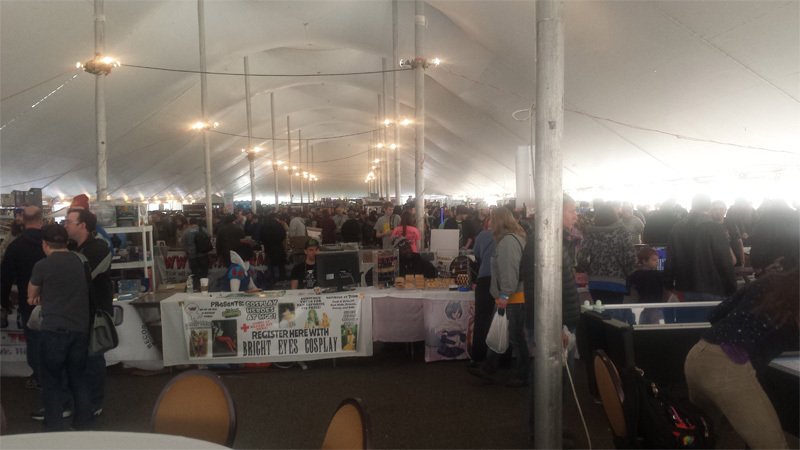 Was hoping to pick up a few more (mainly Sonic 2XL) but the seller didn’t seem to be there when I finally had time on Sunday to make it down to the Vendor Area. Next Year. 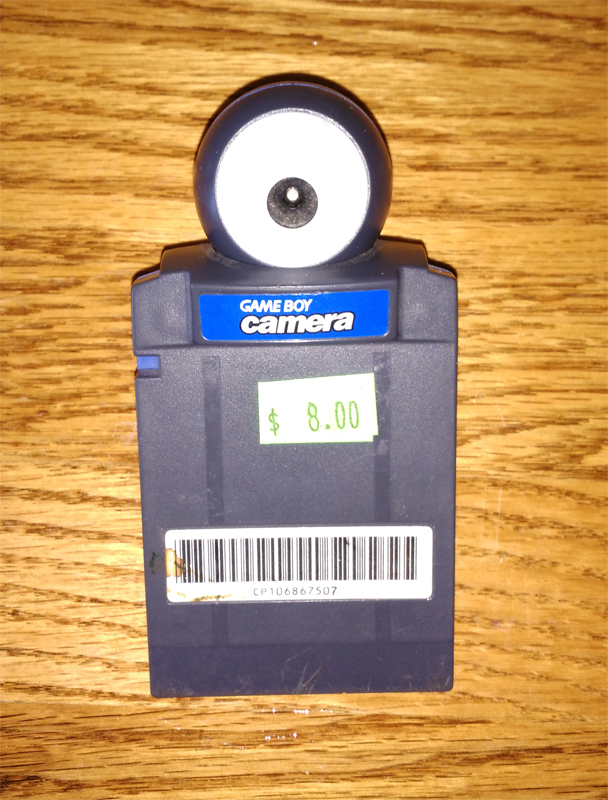 Gameboy Camera FREE. We had Ben’s Giant Gameboyman on display all weekend, and a lot of people were already tired of Tetris music by the time the Friday preshow ended. Saturday morning, a bunch more Gameboy games were dropped off to play on it; F1 race, some Pokemons, etc. and even this Gameboy camera, which looked as bad as you’d expect. Our buddy Evil Jim (Earthworm Jim reference probably cause he’s a super nice dude) who is collecting Gameboy cameras to archive all the pictures on all the Gameboy Cameras he can find, stopped by and showed us some cool tricks. Pacman Ghost shirt $10. By One Man Surf party. Neat shirt, with a Power Pellet effected ghost, with a grouping on dots underneath him to simulate a skull and crossbones. 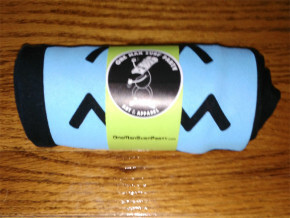 Packaged in a easy to carry shir-rtitto (shirt burrito) circle. Also of course a mandatory bathroom mirror duckface selfie. Turbo Touch 360, Sega Genesis, $2, for a reason. This controller is a bad time. Instead of having a dpad, the controller was fitted with eight capacitive touch areas for each direction. The pad feels awful, so much that I made everyone I knew there feel it. A novel idea perhaps for 1993, but I probably wouldn’t use a 2016 version today either. 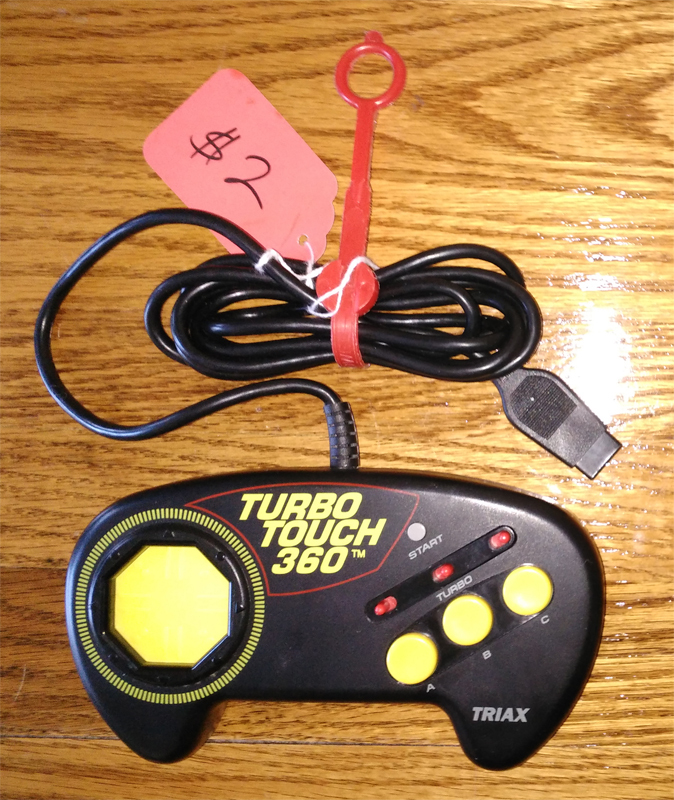 Didn’t care much for the NES Max controller growing up, and this seems even worse. IGN even rated it in ther Top 10 worst controllers. An interesting conversation piece for $2. You think it would at least be good for fighters, but nope! Dream Passport 3 Dreamcast, import $2. I guess this was their web browser/email client software. It was two bucks so why not. Didn’t know what it was when I bought it, but nice arts, $2, sold. Much nicer design then the NA releases for sure. 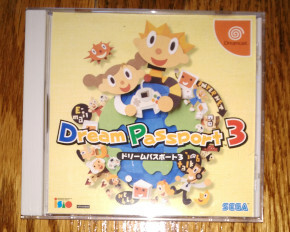 At least we got Sega Swirl. I’ll check this out to see what’s on it one of these days. Virtua Fighter Kids Saturn Import $13. More imports. 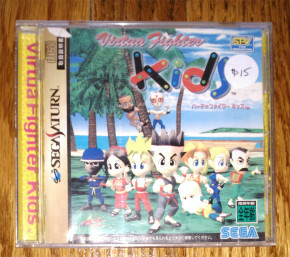 Virtua Fighter Kids needs no Japanese I’m almost completely sure. I actually enjoy the gamegear version of this, so I’m sure this will be way better. I think either VF/VF 2 was the first fighter I ever played, in a haunted themed arcade (Haunted Trails) in a sitdown cabinet. All hail Jeffry. 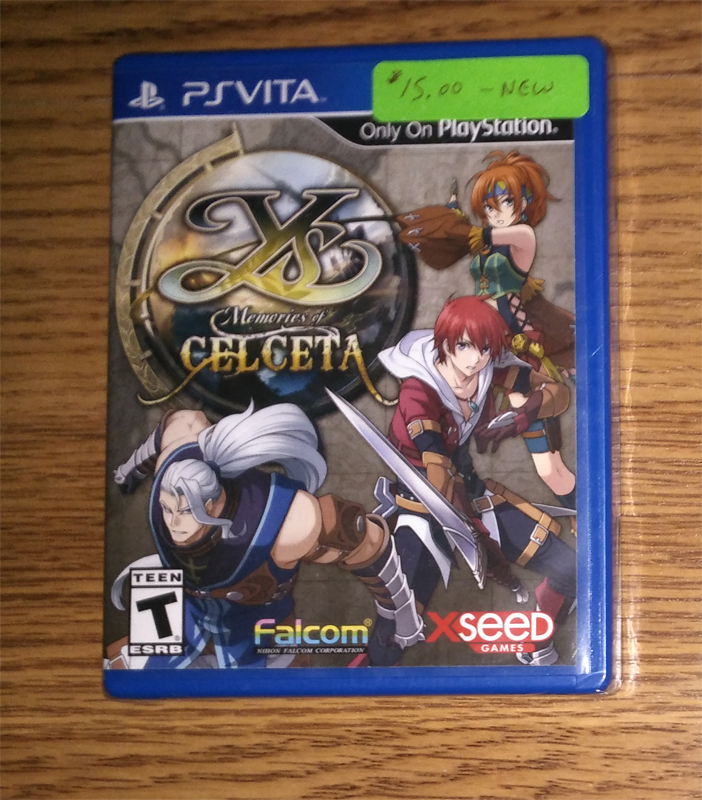 Ys: Memories of Celceta, Sealed, $15. Not a lot of Vita games to be found at all. I think I saw this and MLB The Show 14. 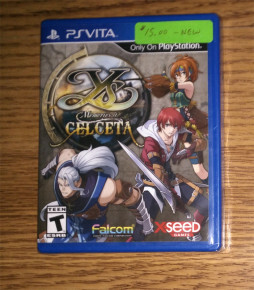 Haven’t really played a Ys game since a little bit of Ys III: Wanderers from Ys and that was pretty cool. A lot of PSVita stuff kinda games me a “Dreamcast Vibe” where nobody cares about it now (out of a select few), but will pick up interest later on a few years after it’s lifespan. Too bad Sony marketed this so terribly. Gamegear Games, $16 for the lot. 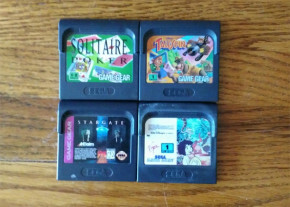 Solitare Poker, Talespin, Stargate, and original non-Majesco release of Jungle Book. Quest for a full NA collection continues. The good part about Gamegear games is there is absolutely no competition for them. The bad news with that is all you’ll usually find, if any at all, are Sonic, sports, and Majesco re-releases. Found a healthy amount last year so I probably depleted everybody’s stock of decent GG games. Been pretty busy lately and didn’t have time for thrifts, so it was definitely nice to get back to game hunting. If you are anywhere in the Midwest area I highly recommend the trip to Wisconsin to attend the Midwest Gaming Classic. See you next year.